마나우스 시티 센터에 있는 본 숙소(슬립 인 마나우스)는 여행객들에게 인기가 있습니다. 이 곳에서 생동감 넘치는 도시의 많은 것을 최대로 즐길 수 있습니다. Stylo Outlet, Studio 5 Festival Mall, Paroquia Nossa Senhora de Fatima 등에 가기도 편리합니다. 본 숙소(슬립 인 마나우스)에는 다양한 시설이 있어 마나우스에서의 여행 시간을 풍요롭게 해줍니다. 개별 투숙객의 편의를 위해 24시간 프런트 데스크, 장애인용 편의시설, 여행 가방 보관, Wi-Fi (공공 장소), 주차장 등을 쉽게 이용할 수 있습니다. 본 숙소에서 머무는 동안 고급 객실 시설을 경험할 수 있으며, 일부 객실에 구비된 평면 TV, 에어컨, 모닝콜 서비스, 책상, 미니 바 등은 투숙객의 긴 하루 후 재충전에 도움을 줍니다. 본 숙소에서 피트니스센터, 실외 수영장 등을 즐기며 편하고 완벽한 휴식을 취할 수 있습니다. 슬립 인 마나우스의 전문적인 서비스와 다양한 특색의 매력적인 조합을 발견해 보세요. Travelers need to note that this hotel is far from city center in a designated industrial zone. Taxi fare to and from the city and the airport are VERY high and fixed. No realistic shopping or dining nearby, and they only had room service at the time we were there since the dinning room was closed. Go find a place reputable place near the city center instead. Savings on taxi alone would make that worthwhile. This Hotel is very good Hotel for Business trip in Manaus. It is near the Big shopping mall and you can buy everything that you want to buy. and you can find the international food in near the hotel. This Hotel is very good for stay for business trip. It is very close to Shopping Mall and Super Market, and all the needful things you can get it around this area. International food and loca food are aviliabal here. This Hotel is very good for stay in this area. It is very close to Shopping Mall and have many choice for international food. Friendly staff and clean room are confortable for stay here. Sleep INN Hotel is a good Hotel for business trip. This Hotel is very close to Shopping Mall and most of the factory. All the Hotel staff are very friendly and good skill for comunication. 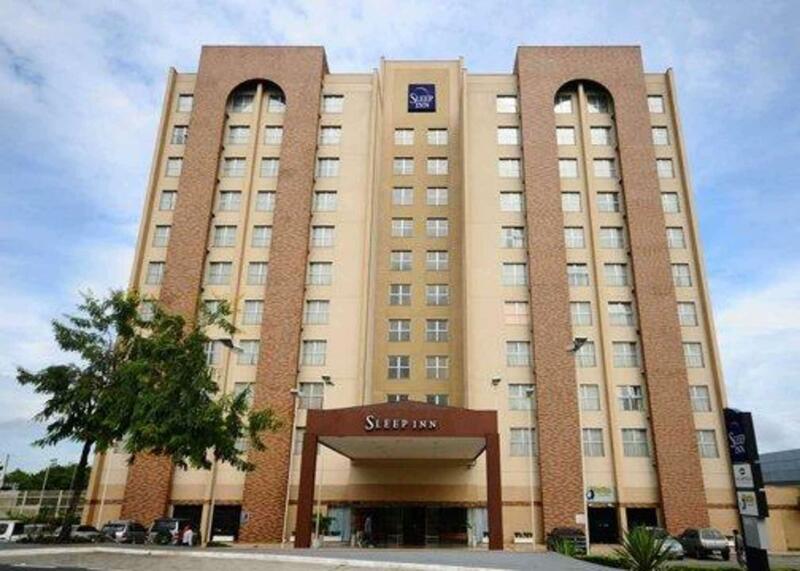 Manaus is very intresting place for visit, and Sleep INN Hotel is very good for your stay for business and travel.This Hotel is close to Studio 5 Shopping Mall and easy to get all the kinds of international food. Sleep Inn Hotel is a good Hotel in this Area. It is close to Shopping Mall and Supremarket. Hotel breakfast is very good also.